In the mid-1980s, when David Onley was working for low pay at a small and poorly performing radio station in Toronto, he was summoned to a meeting with Moses Znaimer, the co-founder of Toronto’s groundbreaking CITY-TV. Onley, who was partially paralyzed after contracting polio as a child, had pitched a show about space to Znaimer and thought the visionary television executive liked the idea. Instead, Znaimer offered Onley a job as CITY’s weatherman, doubling his salary. More important, it made Onley the first newscaster in Canada with a visible disability and kick-started his 22-year career as a reporter and news anchor, which led to Onley’s appointment as Ontario lieutenant-governor in 2007 — the first person with a physical disability in the role. “For me, as a struggling person with a disability trying to build a career, the difference was one employer,” says Onley, who has continued to champion accessibility since finishing his duties for the province in 2014. 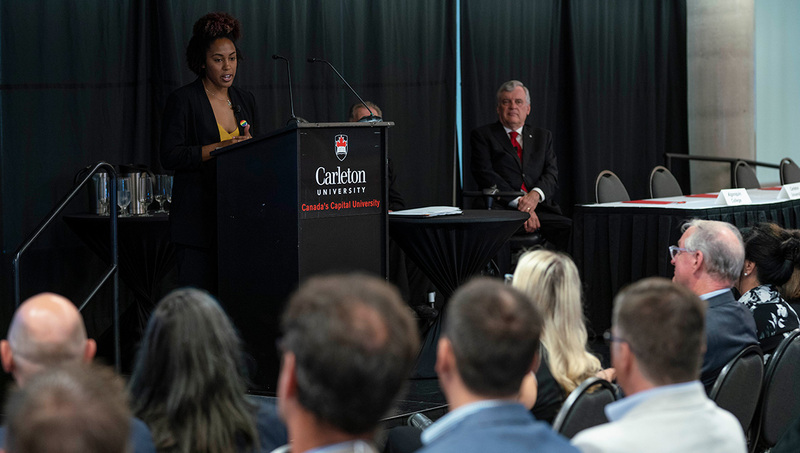 Onley was at Carleton University on August 27 to deliver the keynote address at the launch of the David C. Onley Initiative for Employment and Enterprise Development, a partnership between Ottawa’s post-secondary institutions aimed at developing knowledge, resources and tools to help students with disabilities advance their careers. “Lack of employment continues to be one of the greatest barriers to full equality faced by persons with disabilities,” says Onley. 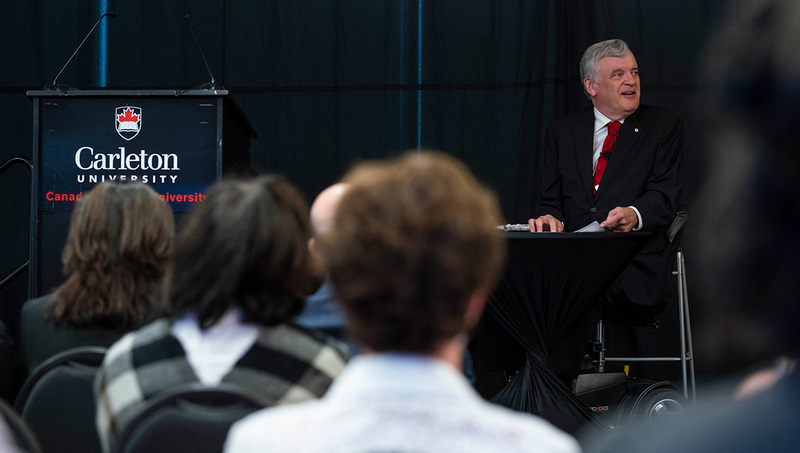 “I am honoured to be associated with and lend my name to Carleton’s inspiring new initiative. Too many employers suffer from “disabiliphobia,” says Onley. They think that employees with disabilities will have higher rates of absenteeism, not keep jobs as long and get injured more at work than other employees, even though research has repeatedly demonstrated that employees with disabilities have lower rates of absenteeism and stay in positions longer, and that workplace accidents occur at the same rate. “Disabiliphobia is unsubstantiated in both theory and practice,” says Onley. Moreover, there is no real labour shortage in Ontario when hundreds of thousands of people — among the nearly 1.9 million people in the province with a disability — are able to and want to work but can’t get jobs. 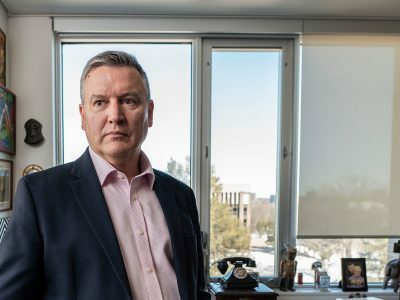 Carleton has built a reputation as the most accessible university in Canada for students with physical and mental disabilities. Graduation rates here have climbed to par with the general population. But despite education and workplace proficiency, people with disabilities suffer unemployment rates at least three times the general level in Ontario. Envisioned by Carleton’s Paul Menton Centre for Students with Disabilities (PMC) and the university’s Research, Education, Accessibility and Design (READ) Initiative, the two-year $5-million Onley Initiative is funded by Ontario’s Ministry of Training, Colleges and Universities and was created to increase employability and entrepreneurship opportunities for post-secondary students with disabilities. It will examine factors contributing to lower rates of employment and strive to boost them by engaging industry, building awareness, fostering entrepreneurial endeavours and developing employment supports in post-secondary institutions. It will assist students through applied research, providing access to employability and entrepreneurship resources, and by working with employers to address their capacity to support the needs of employees with disabilities. 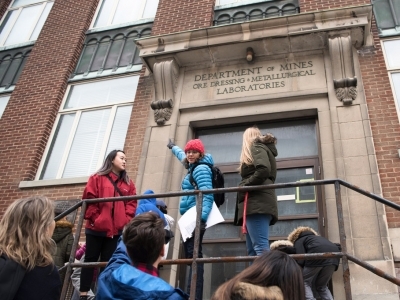 The Onley Initiative is directed by Carleton’s READ Initiative in partnership with the University of Ottawa, Algonquin College and La Cité. It is the first project contributing to the Education City initiative, an effort to facilitate collaboration through partnerships among the four post-secondary institutions in Ottawa. 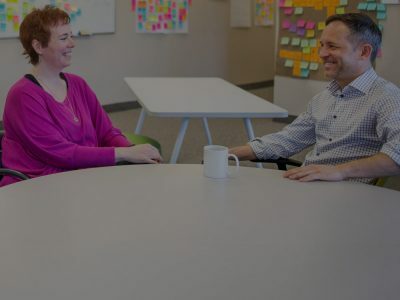 The Onley Initiative will create eight positions — two at each school — dedicated to research and development in disability and career services, as well as two positions — one at Carleton and one at Algonquin — dedicated to the employability of students with autism spectrum disorder. 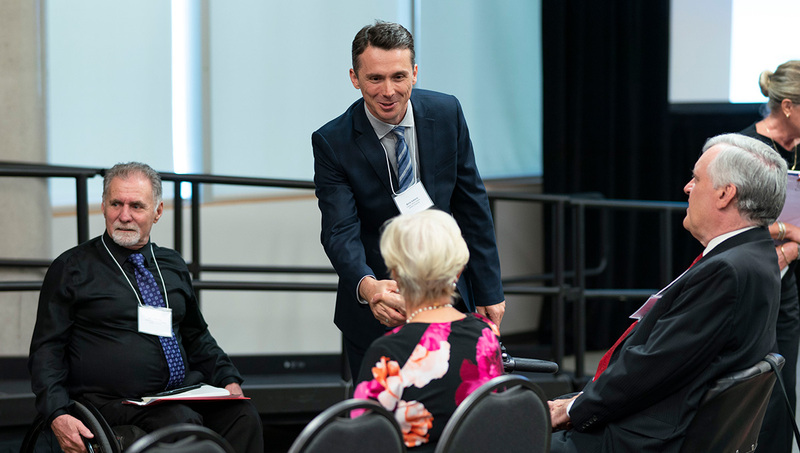 “The David C. Onley Initiative is an attempt to answer a deceptively simple yet challenging question: Why are graduates with disabilities not gaining employment at the same rate as the general population?” says Boris Vukovic, director of the READ initiative. 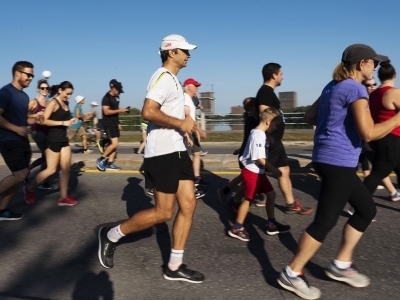 “We seek to understand why this is the case and to use that knowledge to effect change. 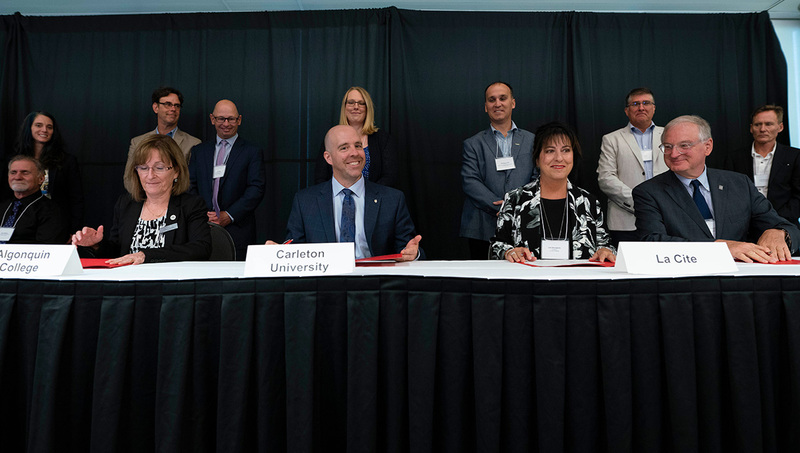 But we cannot do this on our own, which is why Carleton University is partnering with the University of Ottawa, Algonquin College and La Cité to collaborate with employers, government, community agencies and, of course, students with disabilities. We wish to influence a shift in perspective on persons with disabilities and employment, and promote a sound business case with value added for the employers, employees and our economy. Carleton has a longstanding commitment to ensuring accessibility and has been a leader in providing programs that support student success. 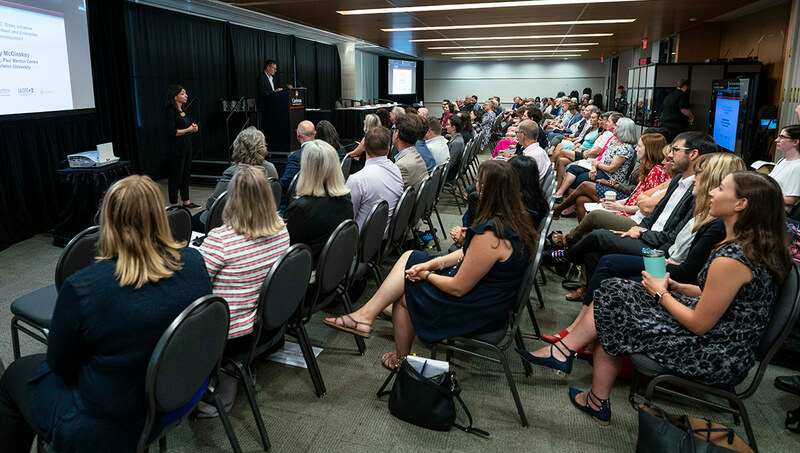 “A deep culture of accessibility is part of everything we do,” says Carleton President Benoit-Antoine Bacon, who spoke at the launch of the Onley Initiative. “We’re looking forward to working with our Education City partners to develop knowledge, resources and tools to assist students with disabilities. The presidents of the University of Ottawa, Algonquin College and La Cité — Jacques Frémont, Cheryl Jensen and Lise Bourgeois, respectively — attended the launch. Bacon introduced PMC Director Larry McCloskey, who talked about the “cultural shift” required to enhance employability for students with disabilities and the critical importance of the Onley Initiative being supported at the senior levels of the four participating institutions. “That’s why this initiative will be more successful than previous efforts,” says McCloskey. Among its objectives, the Onley Initiative will increase public awareness and visibility of issues related to employment of students with disabilities by promoting the benefits and addressing barriers to influence a cultural change in the post-secondary and employment sectors. It will also develop strategic regional partnerships and collaborations between employers, agencies and secondary and post-secondary institutions to advance employment outcomes for students with disabilities, including long-term programs, funding strategies and ongoing research beyond the initial two-year timeframe. One of the final speakers at the launch event was Carleton alumnus Clary Chambers, of Ottawa’s Spark Clarity. A car accident in 2010 when she was 17 left Chambers with chronic pain, which was eventually diagnosed as fibromayalgia, a disorder associated with widespread musculoskeletal pain along with fatigue, memory and mood issues. After initially keeping her “chronic invisible illness” under wraps, Chambers eventually sought support from the PMC as a Carleton student. And when she struggled to find work after graduating, additional coaching from the PMC helped her find firm footing. “The creativity that goes into overcoming challenges daily is something that’s missing in the world,” says Chambers. The Paul Menton Centre is responsible for the coordination of academic accommodations and support services for students with disabilities. Working together with the Carleton community to foster equal access to the University experience. READ stands for Research, Education, Accessibility and Design. 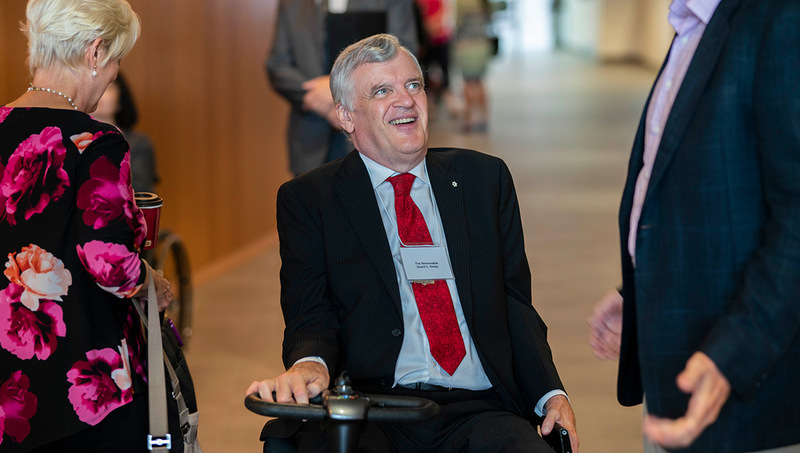 Building on Carleton University’s reputation in supporting persons with disabilities, the READ Initiative endeavors to establish Carleton as a Centre of Excellence in Accessibility, through research and development toward a world that is accessible and inclusive.